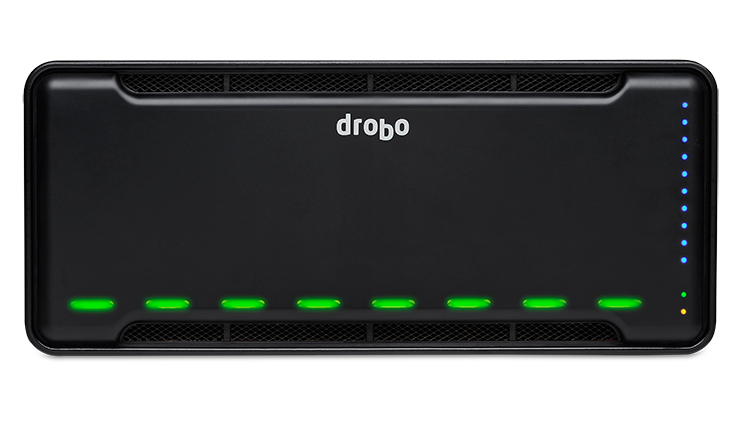 Tuesday morning, Drobo announced its fastest, highest-performing system yet: the Drobo 8D. With flexible storage options and faster speeds, Drobo 8D is the best suited of the lineup for the tasks of editing photos and videos. With read and write speeds averaging 1,100 MB/s and 380 MB/s, respectively, the Drobo 8D can write to its up to 96 TB of storage at more than fast enough speeds for ultra-high-resolution workflows. 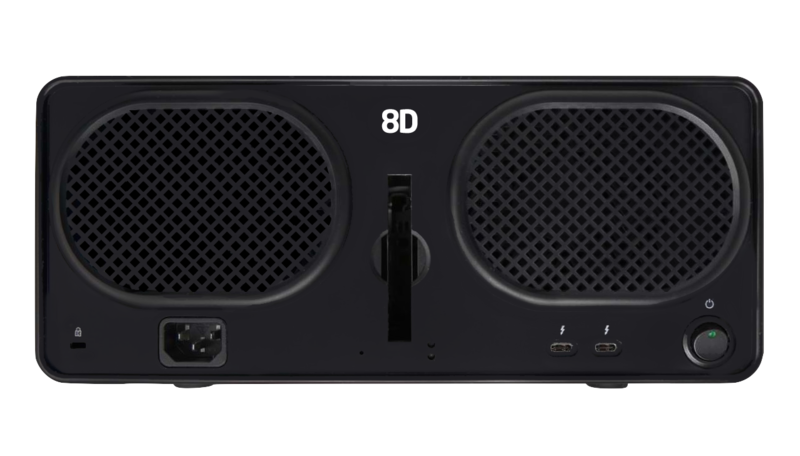 Through its dual Thunderbolt 3 ports, the Drobo 8D supports a single 5K monitor, two 4K monitors, and/or a variety of other accessories and external drives. Fifteen-watt power delivery over Thunderbolt keeps any MacBook trickle-charging and is more than adequate for those surfing the internet most of the time. 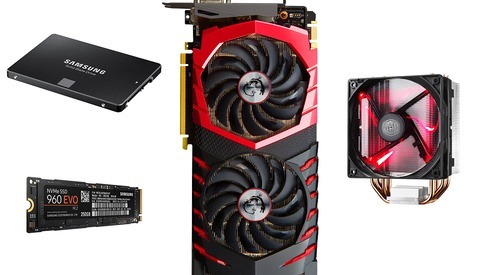 Additionally, a 1.6 GhZ quad-core processor, eight 7,200 RPM drives, and a standard 2.5-inch SSD for a rear SSD cache slot are what allow those full top speeds, but is also easier and more affordable than even smaller alternatives. Drobo is best known for its unique approach to data and RAID system management. 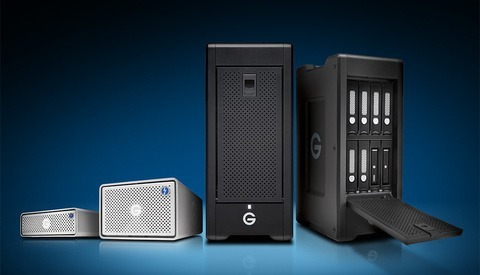 With any Drobo system, so much about creating volume sizes, partitions, and increasing or decreasing capacity by adding or removing drives is simplified so much so that anyone can do it. Additionally, the 8D features a built-in power reserve that will finish writing data to a separate, internal cache to keep files from corrupting due to a mid-transfer power outage. Data migration from a previous five-drive Drobo system is made easy in the sense that the 8D can easily and seamlessly assume the drives as its own after a quick migration. The Drobo 8D ships today, starting at $1,299 with a variety of storage configurations up to 96 TB. At launch, macOS will be supported while Windows support will come at a later date. Run away, run away! Drobo has been a terrible company and you shouldn't trust your data to their products. Personally, I've had great experiences with my Drobo. Admittedly, it's older. But it's also worth noting that the company is now owned by another trustworthy company, StorCentric. Looking up StorCentric reveals it's mostly ex-Drobo people. It's not a new company so much as a new name, same culture, I'm sure. And that was the company that RAN OUT THE WARRANTY OVER 14 WEEKS rather than fix the problem. And of course, it doesn't matter, because "BeyondRAID" is a proprietary hackjob that is completely unrecoverable by anyone other than Drobo for thousands of dollars. I temporarily got a 4-bay to get my data off and then sold the whole bag of crap off. i now run a drobo 5d and a 5dm3.. they arent the fastest solutions out there, but they are the most flexible for direct attached storage. 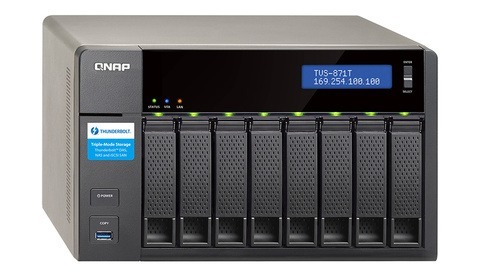 Like any storage you need a backup.. but i've been very happy. I've had laCie, Western Digital and Seagate drives all fail on me..
My experience with Drobo 5D was horrible, I lost data, the technical service does not solve anything. The Beyond Raid is the worst raid in the world, it's smart to lose your data. I have had 3 Drobo and the old models work better. Three things one should avoid for mental health and continual well-being of one's business: seagate, drrrrrobo, and one card slot cameras. Do not use Drobo, my experience was losing data with this raid and a service of poor quality.